Got my new cellphone today. Apparently, I missed a couple of steps in mobile phone evolution. 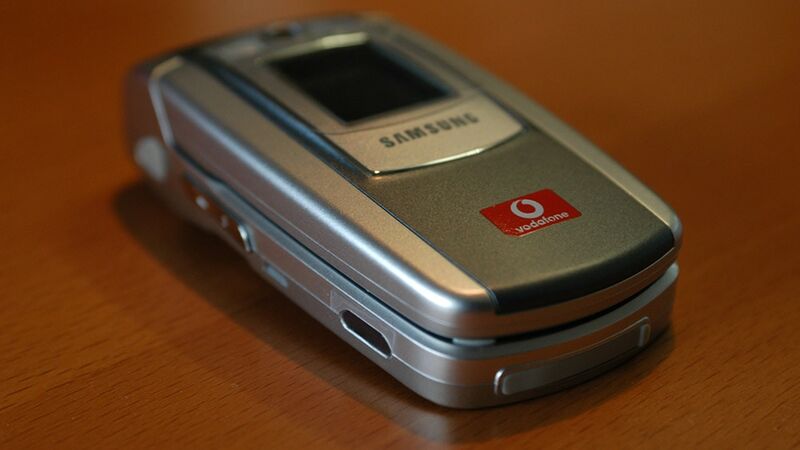 My last phone was a Motorola V66, a great basic mobile phone that unfortunately had outlived it's life after 2 years. Problems with charging the phone left me looking at opportunities to get a new one. Thankfully I discovered my phoneplan expires in december, so I could renew it and get a very cheap phone in the process. Me bein a sucker for clamshell type phones, this Samsung e710 was the simplest phone available. simple in the 21st century means: Video camera, photo camera, photo flash, picture messaging, colored leds, mp3 ringtones, infrared connectivity, high color graphics display, the list goes on. I have to charge it for 4 hours now, so I got some time to read the 200 page manual. I feel really old right now.